We all remember our first Porsche, I know I do (a 1973 911T w/CIS). However, for most of us it was a "real" car, not a toy or model. In the case of this safety recall, just announced by the U.S. Consumer Product Safety Commission (CPSC), the model Porsche impacted it just that, a wooden model otherwise known as 'My First Porsche'. About 1,700 were sold in the US along with another 330 in Canada. According to the recall notice on the CPSC's website, the wheels and axles found on the wooden toy car can detach, posing a choking hazard to young children. 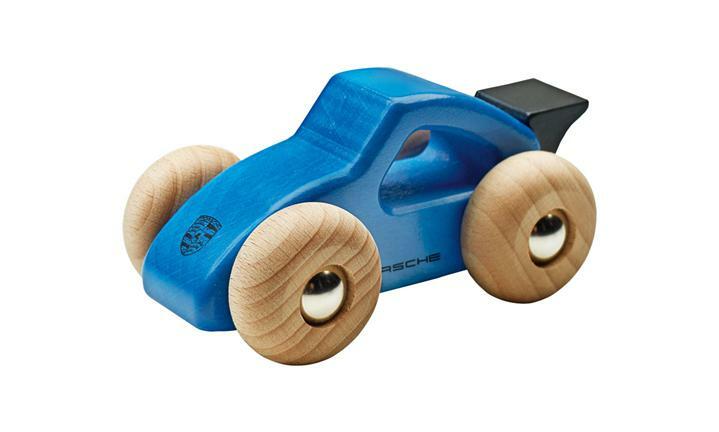 Specifically, the recall involves "a blue wooden toy Porsche car with tan wheels. The Porsche crest is printed on the front of the recalled toy cars. “PORSCHE” is printed on both sides of the recalled toy cars. They measure about 4 inches long by 2 inches wide by 1 1/2 inches tall. The underside of the toy has “BAJO” and a lot number printed on it." The toys were originally sold online, and at Porsche dealers nation wide, from April of 2015 to March of 2018. Consumers should immediately stop using the recalled toy cars, take them away from young children and contact a local authorized Porsche dealer to return the recalled toy car and receive a full refund. The original cost was around $25. Fortunately, no injuries have been reported. According to the CPSC, if you have one of the toy cars in question you can call Porsche at 800-767-7243 from 9 a.m. to 5 p.m. ET Monday through Friday or contact them via their online shop and click on "Product Recall" at the bottom of the page for more information (at time of publishing no such link existed).